This will probably not be the last post about maps. Along with the Underground, maps are one of my top obsessions. Here’s some of my latest favourites. Rebecca Foster’s amazing maps. Apparently hers actually get her where she’s going too! Karen O’Leary papercuts. So cool! Eric Fischer data visualisation. 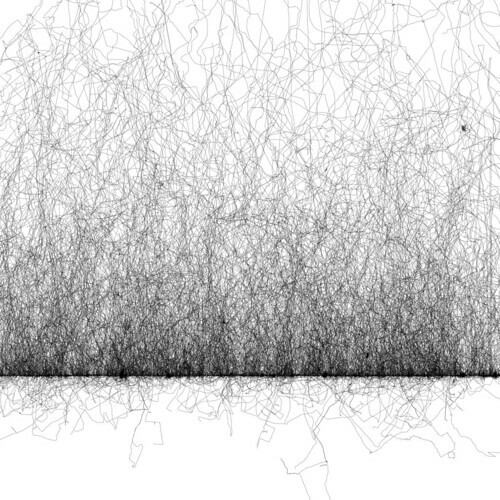 This is 5000 walks all aligned. At the Museum of London, a fantastic museum for tourists and Londoners alike, there’s an area where the walls are literally covered with maps and it can cause a bit of a bottle neck. You can see that where your flat is used to be a field and that the roads are still the same hundreds of years ago in places. Or the spelling as changed. 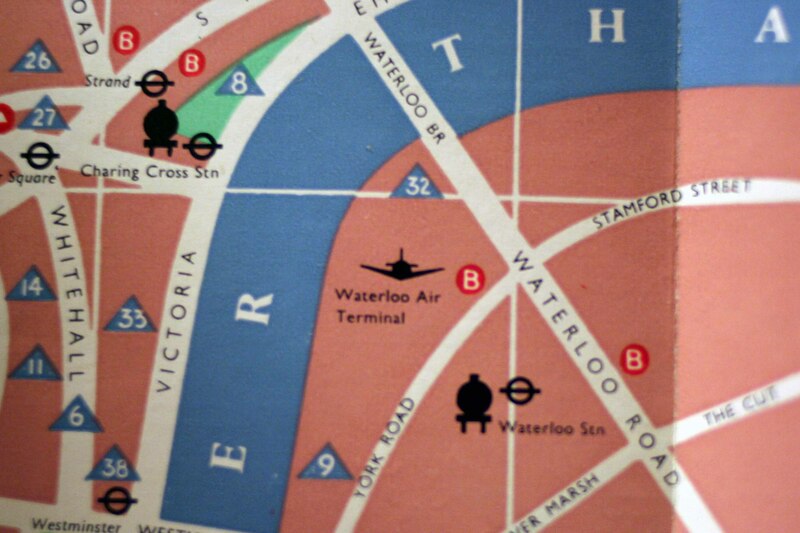 Or there used to be an airport near Waterloo Station? The old tube maps are also fascinating. The Bakerloo line was much bigger for instance, and the old line kind of explains its current, rather odd path. Aside from providing an outlet for those obsessed with their city, maps are seriously beautiful designs and objects. They range from visually simply functional to extravagant and gorgeous. They can also be very topical such as this map of tweets in London. 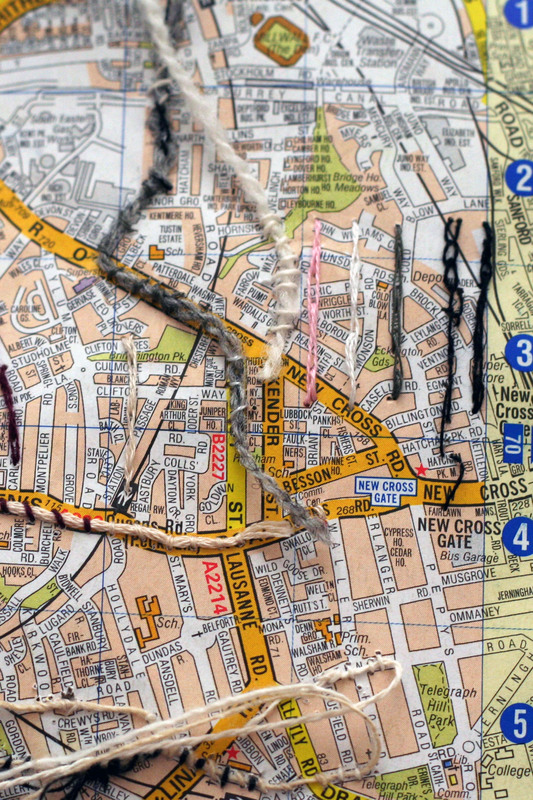 Maps are also illustrated memories and histories. Traditionally, political or trade histories, but they can also be personal histories. A scribbled-on old A-Z for instance, or the book of a Carolinian neighbourhood in Everything Sings. 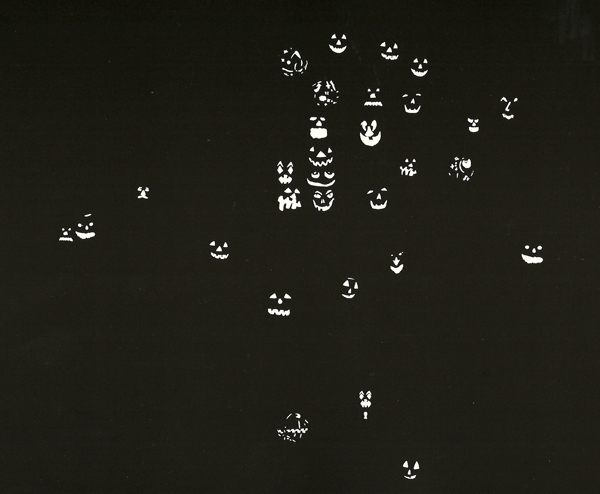 The originator of the carved pumpkins map. What’s with all the maps? Well, I’m still working on my map project, which plans in store for a second for the next OpenDoors. More to come. I think anyone that lives in London develops a strong relationship to two maps: the A to Z and the iconic London Underground map. 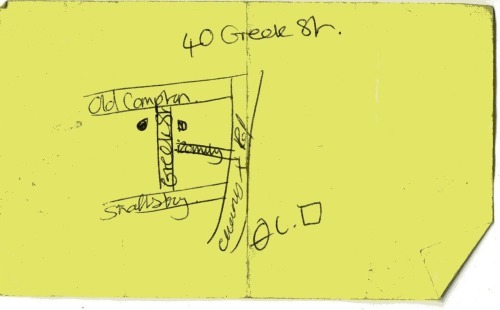 The A-Z gets crinkled, written on, places frequented are circled, phone numbers are written on pages and gradually this ubiquitous map becomes like a diary. It’s a visual memory of life, more like a date book or a calendar than a journal. 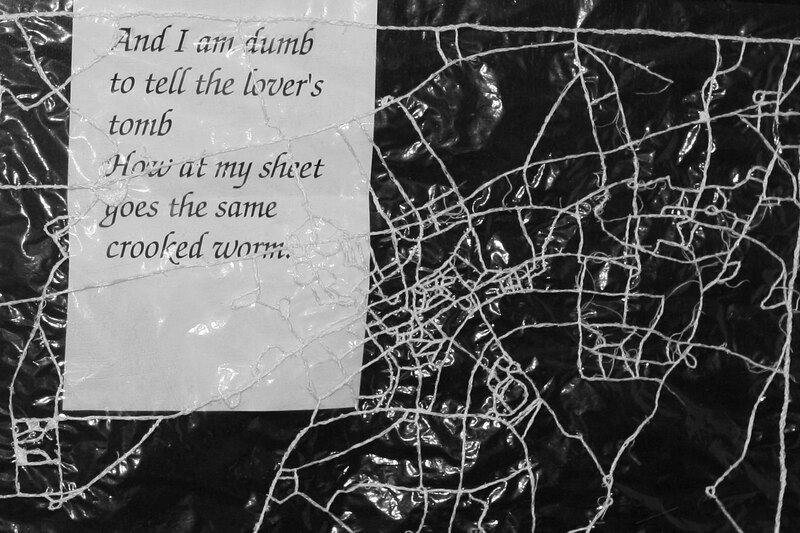 I wanted to pursue this further and so I want to embroider these routes on a map. I want to trace where I’ve been, possibly colour-coded. I know it’s more like an actual code. Like I said, it’s not a journal. The memories aren’t explicit, but they can be visualised. I plan on, after embroidering a map, on embroidering dissolvablefabric with the same pattern and dissolving the fabric, which will leave only the lines, an abstract pattern.